This summer is just whizzing by! To help ensure you finish your summer with a bang, check out this quick list of some fun local events happening in the Treasure Valley during August. Head to downtown Boise on the first Thursday of every month to experience the best of Boise's local artesians, restaurants, businesses, galleries and more! Events typically run from 5pm - 9pm. Learn more here. Every Wednesday, head to The Grove Plaza to enjoy Boise’s FREE outdoor concert series. Packed with food vendors and beverage providers, it is always a fun time for all! This month they will have The Young Dubliners, The Talbott Brothers, Jocelyn & Chris Arndt, The Brevet and Ripe playing live. Learn more here. 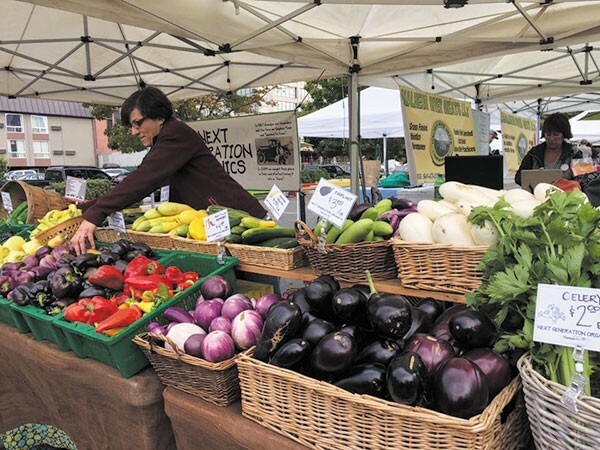 Beginning in April (and lasting through October), the Boise Farmers Market is open outdoors at the corner of 10th Street and Grove Street. Check it out for fresh local seasonal produce, organic and free-range food, homemade breads and pastries, honey, jams, fresh-roasted coffee and MORE. Learn more here. This is a fun, outdoor music event that is a perfect opportunity to escape the heat of the valley and enjoy the inspiring views, mountain coaster, biking, hiking, base area activities and refreshing food and drinks that Bogus Basin offers! Learn more here. Read to experience a camp out unlike any other? Zoo Boise is hosting an overnight camp out, allowing campers to sleep under the stars right in the middle of the city (and the zoo). The event will be full of informative and educational programs led by the zoo’s education department staff. Check out all of the details here. Don’t miss this new event taking place at the Boise Centre. The show floor will be packed with fly-fishing brands and companies including Patagonia, Orvis, RIO Products, Sage, Scientific Anglers, Sims and more! They will also have a fly casting pond as well numerous presentations by fly-fishing celebraties Gary Borger, Dave Whitlock, Brian O’Keefe and many others! Learn more here. No summer is complete without a visit to the Western Idaho Fair! As always, there will be something for everyone. Whether it’s comedy, magic shows, amusement rides, fair food, live music, chickens and pigs - or whatever - you will find it at the fair! So be sure to check it out (and devour a delicious deep fried treat). Plan your fair adventure here. The annual Blues and Bones Festival kicks off in Eagle, Idaho at Eagle Island State Park. This a fun, family-friendly event featuring some of the country’s best traveling Blues Bands along with award-winning BBQ! Learn more here. 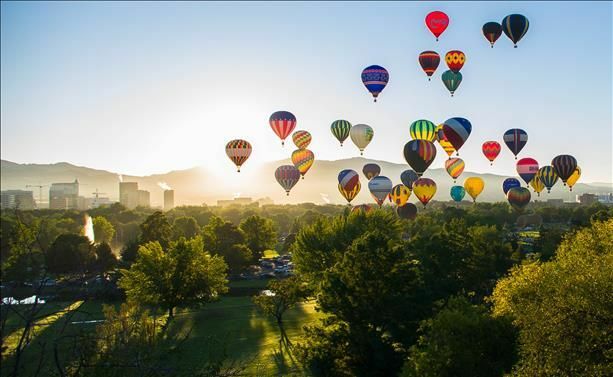 The Spirit of Boise Balloon Classic is an exciting, family-oriented production that is a staple, “must attend” event for the community. Hosted annually at Ann Morrison Park, the event brings together locals and tourists alike who enjoy being surrounded by endless colorful balloons, inspiring music and their favorite local radio station teams. Learn more here. Pack up a picnic basket and head to the Idaho Botanical Garden to hear live music in a gorgeous setting. August's lineup includes Steve Miller Band, ZZ Top, Amos Lee, Rebelution and the Avett Brothers. Reserve your tickets here. Three separate units make up Lucky Peak. Discovery is a popular roadside park that is a great place to host a company party or family reunion. Sandy Point, at the base of the Lucky Peak Dam, is popular for its sandy beach and clear cool water. Spring Shores offers lakeside access for water enthusiasts by providing two boat ramps, parking, a marina, on-site watercraft rentals and a convenience store. Plan your trip by clicking here. Idaho Shakespeare Festival: Pride and Prejudice and Mamma Mia! 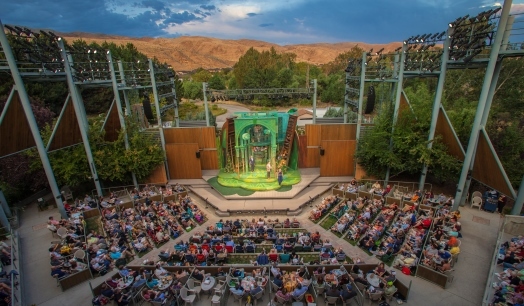 No summer is complete without a visit to Idaho Shakespeare Festival! Their 41st season is well underway with its August schedule featuring Pride and Prejudice and the highly entertaining musical Mamma Mia! Reserve your tickets now: Idaho Shakespeare Festival Reservations. There's so much going on in the Treasure Valley, what's your favorite August event? Let us know. And enjoy the rest of your summer!